This is an event open to the public to enjoy! More than simply a competition, this is also a greatest-hits collection of a burlesque show to enjoy! Viktor Devonne won the Master of Comedy for the Pennsylvania Regionals edition of Burlypicks in 2017. 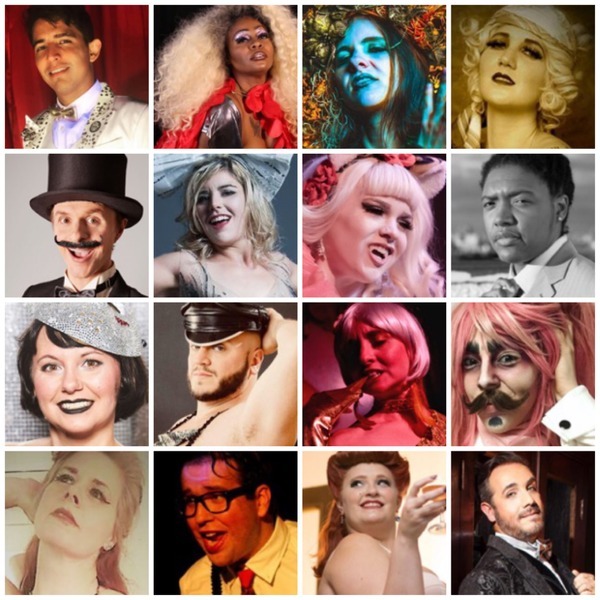 He is the host and director of White Elephant Burlesque, a queer neoburlesque outfit since 2006, and is seen regularly at Roxy and Dukes - and weekly at Rockbar on Christopher St.
Lillian Bustle is a Burlesque performer, singer, MC, and public speaker/gleeful loudmouth about body positivity! Her recent TEDx talk, Stripping Away Negative Body Image, sheds light on the positive effect of Burlesque and visual diet on self-image, and has been shared by hundreds of thousands of people worldwide. Recent speaking engagements include SUNY New Paltz and BurlyCon as a panelist on the Beauty Standards and Burlesque panel. She currently produces and hosts Jersey City's premiere monthly Burlesque show, LiberTease, every 4th Wednesday at FM Restaurant & Lounge. Although her first Burlesque performance was in 2012, she made her nightclub debut at the age of 14 as a singer in a drag show. She's been covered in glitter and boas ever since! 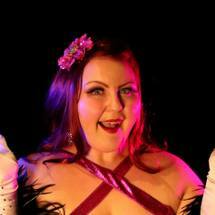 Lillian has performed with Burlesque shows and festivals across North America such as Rabbit Hole productions, White Elephant Burlesque, Switch n Play, Montreal Bagel Burlesque Expo, Alterna-Tease, and The Philadelphia Burlesque Festival.